John Volanthen, one of the British cave rescue divers who found the children and their coach trapped in a Thai cave, has spoken about his experiences in two separate interviews with the BBC. Volanthen told a BBC journalist that he was at work on Tuesday 26 June 2018 when he got a phone call. "At 3pm I received a call telling me I was booked on the 9pm flight to Thailand." 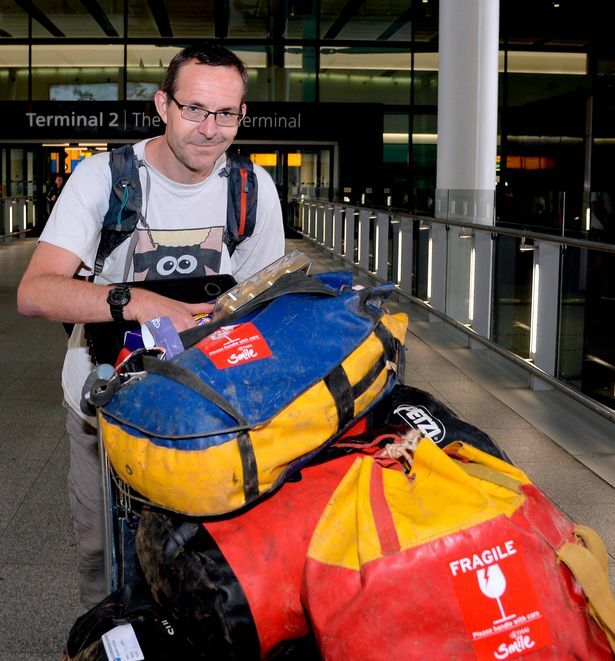 Volanthen boarded a plane at London Heathrow, with one of his long term diving partners, Rick Stanton, and experienced fellow caver Rob Harper. The BBC asked about the moment when John Volanthen and Rick Stanton found the group. "We were swimming along an underwater passage. When ever there was an air space we would surface, we would shout, and we would also smell. In this case we smelt the children before we saw them." A number of people in the diving community were interviewed by mainstream media during the rescue mission. Associate Professor Neal W Pollock, a diving and environmental physiologist at the University of Laval in Quebec, Canada spoke about his concern if the rescue was delayed. "I would be in favour of looking really hard at getting people out quickly. Even if food supplies are laid in for several months, it would be quite problematic to just manage water and waste over a period of time for a group of people." Volanthen spoke about the conditions inside Tham Luang Nang Non Cave. 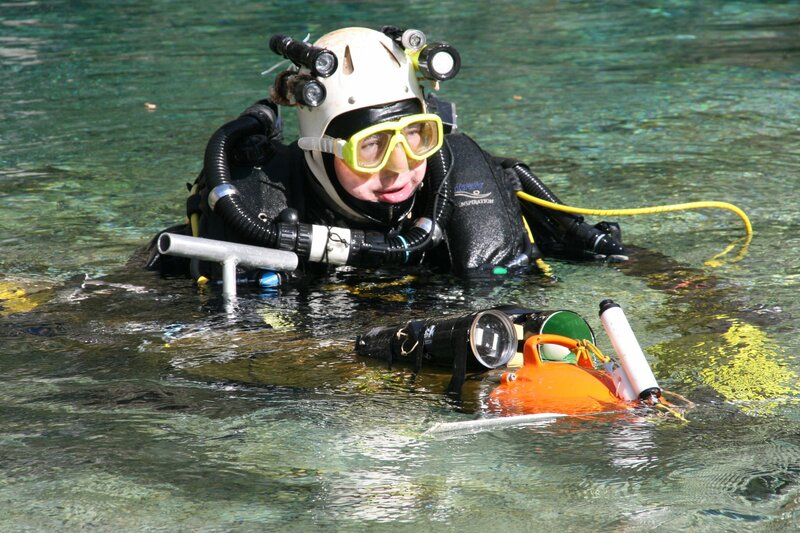 "Obviously it was dark, flooded and there was poor visibility underwater, and a lot of debris in the cave from previous attempts. There was wire, electrical cable, pumps, tubing, all sorts of things. Given the volume of water that we had seen come out of the cave in the preceding couple of days, it was unbelievable that we found the boys and that they were all healthy." Volanthen was asked "what was it like when you saw all the boys in the cave?" "Relief is the word I would use to describe it. We were very pleased and we were very relieved that they were all alive. But I think at that point we realised the enormity of the situation and that's perhaps why it took awhile to get them all out. Cold was an issue. Some of the children were quite small, so we were quite concerned how well the smaller children would hold up. I made them a promise that I would come back and we did. We came back with food runs." I was completely confident that we would see them again. Having said that, "alive in a cave" and "alive outside a cave" are two very different things." "We were fortunate enough to have some local Thai boys from a swimming club that we took to a pool and we practised the rescue before hand. We strapped a cylinder to the front of the child and they had a full face mask to make sure they could breath. Essentially we had a handle on the back of the child. If you want a picture, it was more like a shopping bag that you would sometimes hold close to your chest if the passage was narrow and deep. And when the passage was low and wide, you would hold them out to the side." You always look to transport someone face down so that any water runs away from their face, and we were able to manoeuvre them in that way. They were still clipped to us so if we lost them in the visibility we would always be able to find them immediately." Volanthen was asked what he said before hand to reassure the boys. "Dr Harry, the Australian diving doctor, is very good. He has got a great bedside manner and a bouncy Australian accent, and the boys seemed to find that quite relaxing and reassuring. That seemed to work." The BBC asked John Volanthen about the most dangerous part of the rescue. "It was difficult but we were able to overcome those difficulties. We had a strong international team of military and civilian divers working alongside the Thai Navy Seals. Everyone pulled together and the results speak for themselves." "We are not heroes. What we do is very calculating, very calm. We take it one step at a time and hopefully, as we have managed to in this case, we come up with the results. We were very pleased it worked out so well, and we are just very happy that the boys are out and safe. I do not think this was a remarkable rescue. I can see it was a first!" John Volanthen paid tribute to Saman Gunan. " I would like to extend my condolences to Saman's family and his relatives. It is a shame with the rescue being so successful, that this absolute tragedy adds a bitter sweet flavour to what would otherwise have been an excellent operation." Saman Gunan, a former Thai Seal, was delivering compressed air cylinders on 6 July 2018. As he made his way out of the Tham Luang Nang Non cave system, he lost consciousness. His dive partner tried to revive him but could not, and his body was brought out of the cave. In the last few days the UK Royal Navy Clearance Divers Association has launched an appeal to raise funds for the family of Saman Gunan. To date £2,160 has been raised. How can you help rescues like this? Charitable rescue organisations such as the British Cave Rescue Council are generally not that well funded. If you feel that you wish to make a practical difference, please consider donating something to this charity. The money will be used to support future cave rescues.